Today, Editorial Manager Danielle Dresser welcomes award-winning author Laura Trentham! 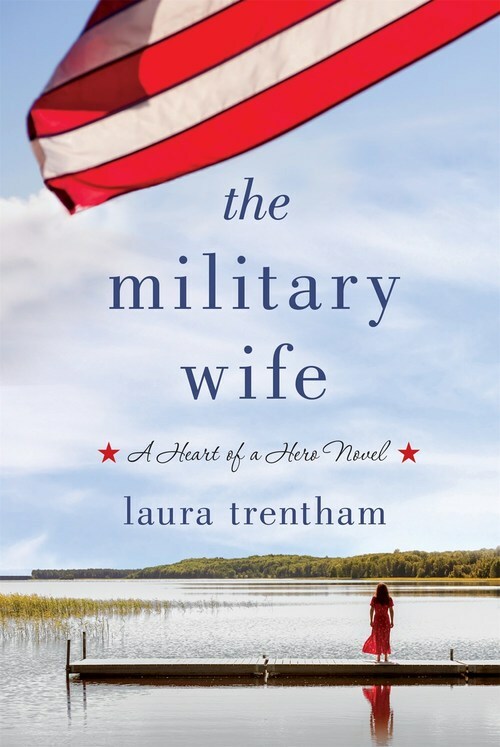 The first book in her new Heart of a Hero series, THE MILITARY WIFE, is available now. One aspect that I found interesting in the military life you portrayed was how lonely it could be, but also at the same time, there�'s a support network of people who will go above and beyond to be there when someone needs help. Can you talk a little bit about these �"found�" families, and how they formed among your characters? 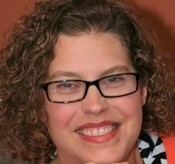 My best friend is a military wife, so I�'ve had a front- row seat to the spouse experience for two decades. Military bases are their own communities and only the women (and men) who walk the experience can ever truly understand what it�'s like to have a spouse deploy for months at a time, especially when you have kids. It really does take a village. In The Military Wife, the friendship between Harper and Allison is sisterly. Allison is Harper's guide into a strange new world and gives her some good, but tough advice. Then, when Allison needs support, Harper is ready and willing to step up. I loved how their friendship weathered time and tragedy. I loved the literary homages in The Military Wife, especially Harper's full name (Harper Lee) and Bennett's dog, Jack London. Were there any other literary references you snuck in the book? Or have you named a pet or other characters after your favorite book? I work literary references into many of my books. In fact, this is not the first time To Kill a Mockingbird has been featured. My very first book, SLOW AND STEADY RUSH, features a librarian who helps a football team with their book reports on TKAM. I also featured Jane Eyre and Harry Potter in Then He Kissed Me. I love books! I can�'t help myself! PTSD, as well as physical injuries, are big parts of the plot in this book. What sort of research did you do into what military men and women go through during and after deployment? Along with reading articles, I watched YouTube videos! It's amazing how honest and real people are. My next Heart of a Hero book features an amputee, and I was able to watch a woman demonstrate prosthetics, residual limb care, and relate everyday obstacles that aren�ft obvious to non-amputees (like how to put on a pair of jeans!). And, even better, she made it informative and funny. I am a coffee fiend most days, so the idea of Harper and her fellow military wives starting cafes near military bases was really appealing to me! The name, Home Front Coffee, was absolutely perfect. If you could start your own business, what would it be? The friendship between Harper and Allison is really special. I liked how it started out with both of them being rather cautious, and it blossomed into a strong and supportive relationship. What do you like to do with your girlfriends when you have time? I have a very tight group of nine girlfriends from college. We call ourselves the �eTuplets because we were separated at birth. We�'re scattered around the country now but get together at least twice a year for shenanigans. Lots of laughs and crying and fun. We�'ve been there for each other through cancer diagnoses and births and marriages and divorces. We have a group text that goes off almost daily. Love my ladies! Bennett has his own business, Caldwell Survival School, where people learn to rough it in the wilderness with guides. Have you ever done one of these types of boot camps? I�'m not sure I have what it takes, even with a trained professional! I have never done a survival boot camp, but I love watching Naked and Afraid on the Discovery Channel! Same thing, right? Every time I watch I tell my husband, no way would I survive. The Wounded Warrior Project is mentioned a few times in the book. Are there any other organizations or charities that you recommend for readers interested in supporting members of the military and/or their families? The Semper Fi Fund (https://semperfifund.org) is another amazing organization that helps service members and their families after they come home. What can readers expect from you in the coming year or so? A HIGHLANDER WALKS INTO A BAR, Book 1 of the Highland, GA series releases in July! It's a small-town romantic comedy, so quite different from The Military Wife, but it has lots of heart, a little more heat, and tons of laughs. Then, next year will see the release of the second Heart of a Hero book (title TBD,) but it�'s already written, and I love it so much! Cake or pie: Blackberry cobbler! Thanks to Laura for chatting with us today! Her best friend, Allison Teague, is dealing with struggles of her own. Her husband, a former SEAL that served with Noah, was injured while deployed and has come home physically healed but fighting PTSD. With three children underfoot and unable to help her husband, Allison is at her wit's end.